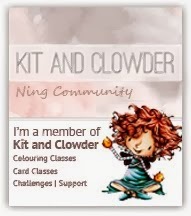 Hi everyone Monica here sharing a gift card holder I made for a friend of mine. 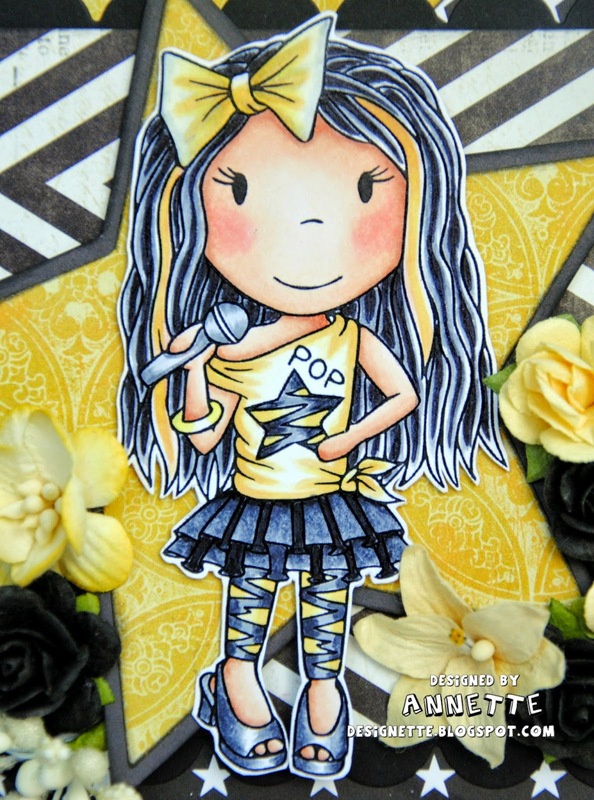 This is my Hula girl Ellie and I made some flowers to go along with her gorgeous flowing hair. I hope everyone enjoyed my post and thanks so much for stopping by and stay tuned some new images are on the horizon! Hello everyone! 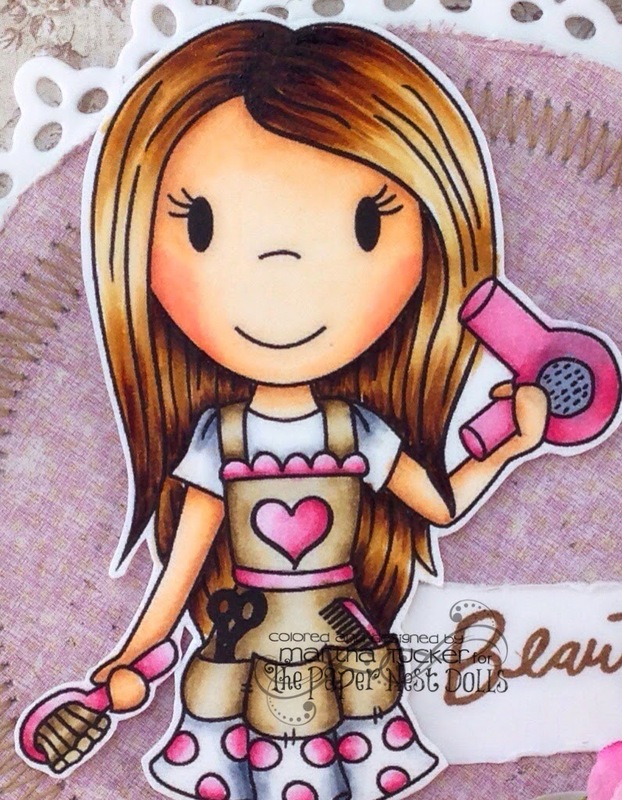 today have a sweet card to show you using Hair Dresser Ellie. 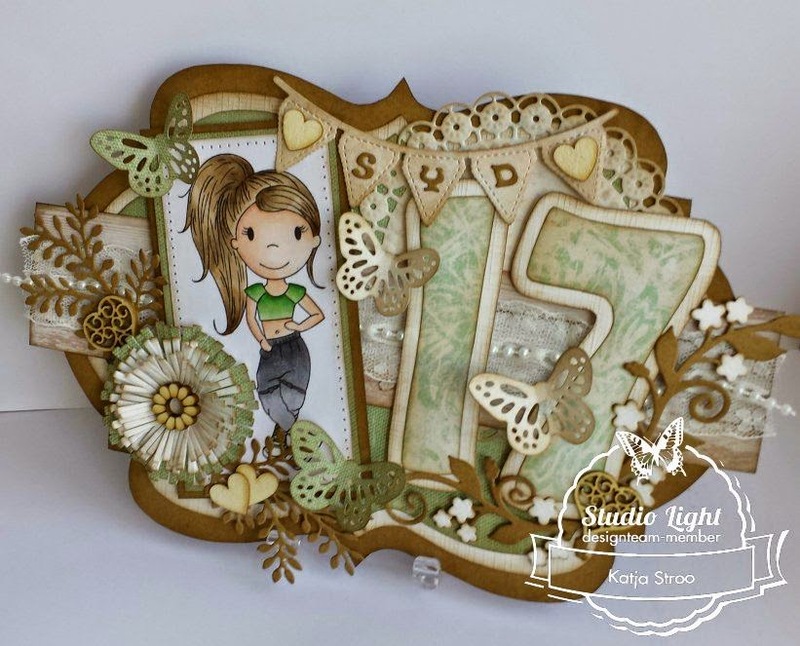 I used Maja "Vintage Autumn" papers for this card, all the layers are distressed and sewed around the edges. 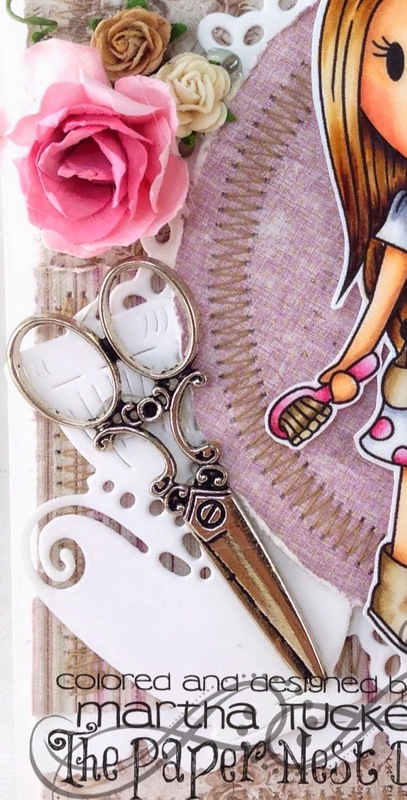 The Circle doily die and plain circle die are from Lifestyle Crafts, and the flowers are from Wild Orchid crafts. 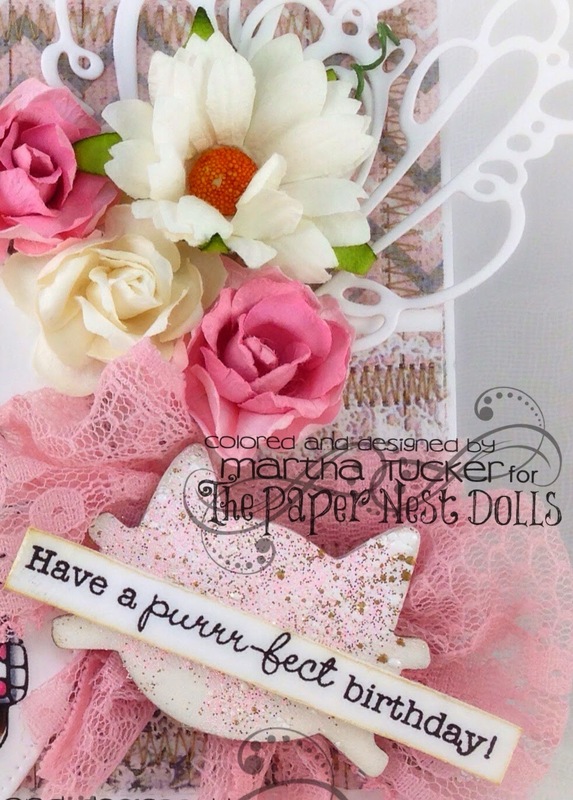 The Perfume bottle and the white filigree dies are from the Magnolia Doohickey die club Volume 4, and the scalloped edge die is from "My Creative Time" The Scissor charms I was given as a gift. 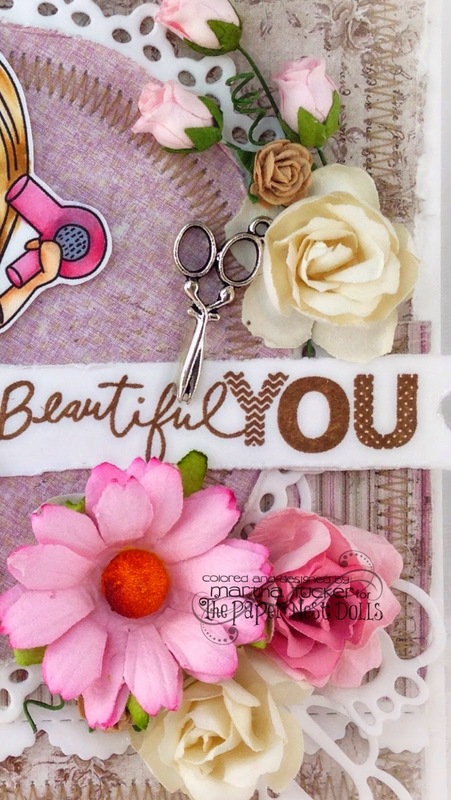 The "Beautiful You" sentiment is from the dollar bin at Michaels. I will link to the products I used as well as my Copic colors I used below. 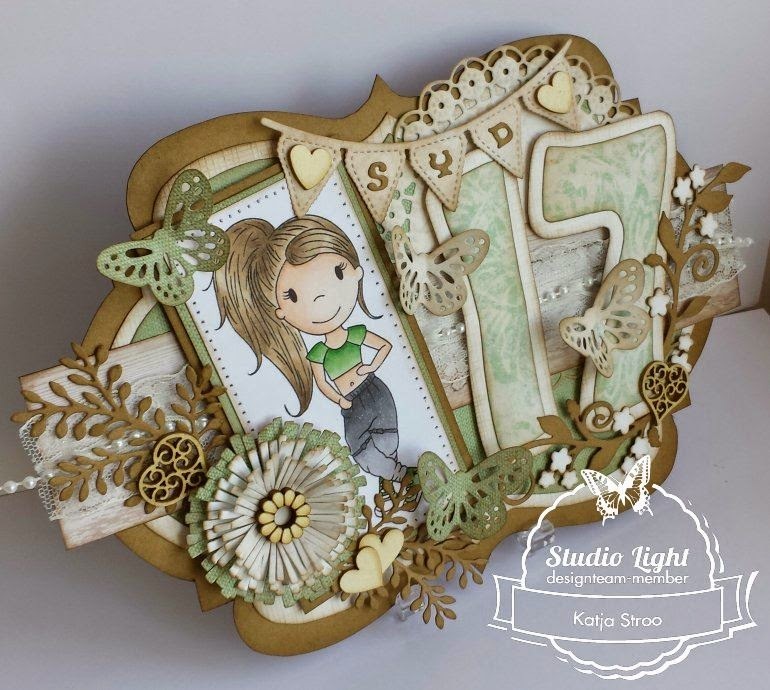 My Creative Time "Stiched Scalloped edge Die"
Tamara here today to show you my latest card featuring Garden Avery from Paper Nest Dolls. 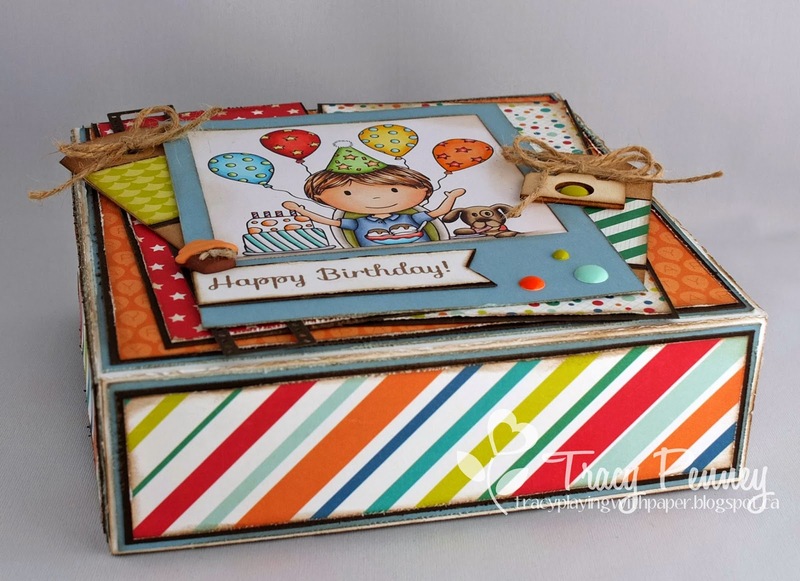 Avery was coloured with distress markers and spectrum aqua markers. You can get her HERE! I stamped her on Langton HP 300g watercolour paper. There is a lot of different dies on this card. 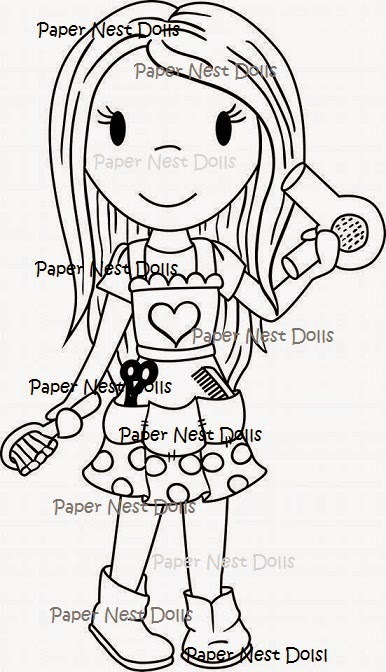 Most of them are from la-la land crafts. She is so cool where she stands with her microphone, waiting to enter the stage! 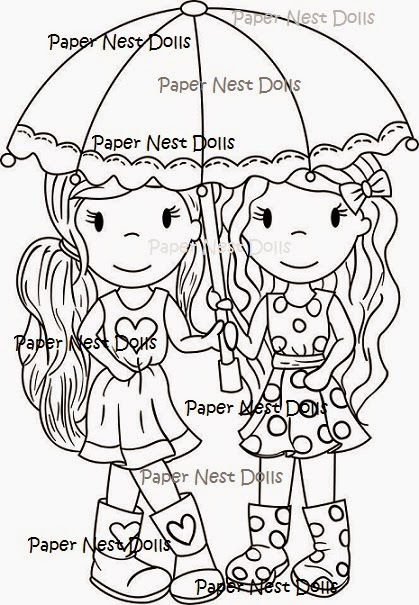 I have used papers from My Mind's Eye and Gummiapan. 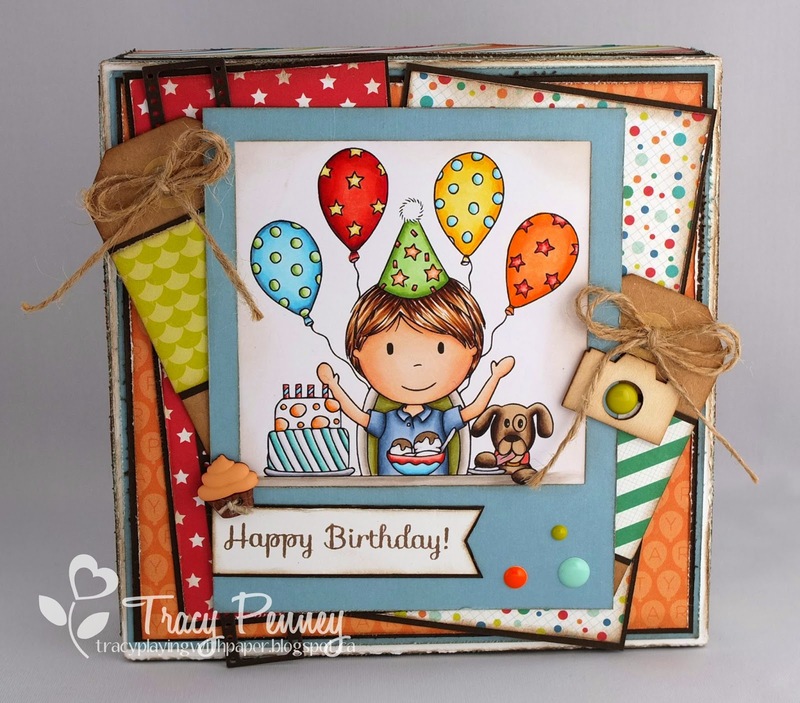 The dies are from Spellbinder and the brads and tag are from Teresa Collins. I finished it up with metal corners and flowers. 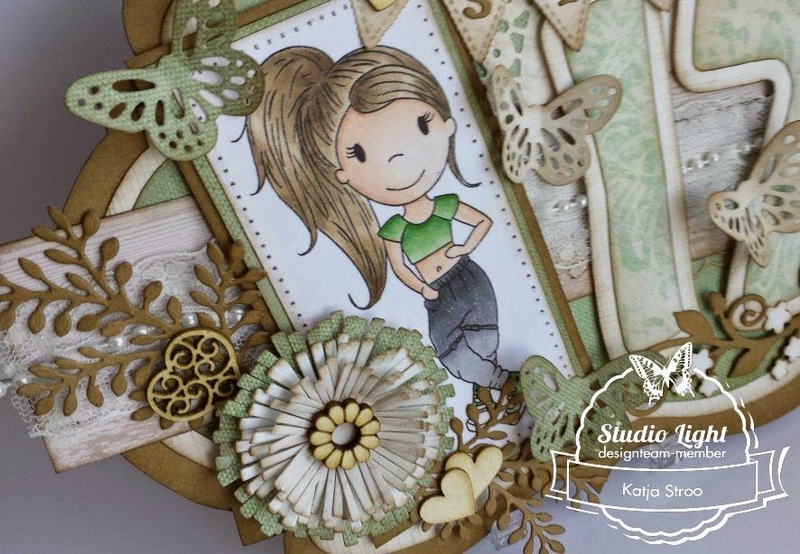 I used for the basis Craftpaper and the digi-paper of MicheleRDesigns, this one is called Butterfly Garden and you can buy that HERE . 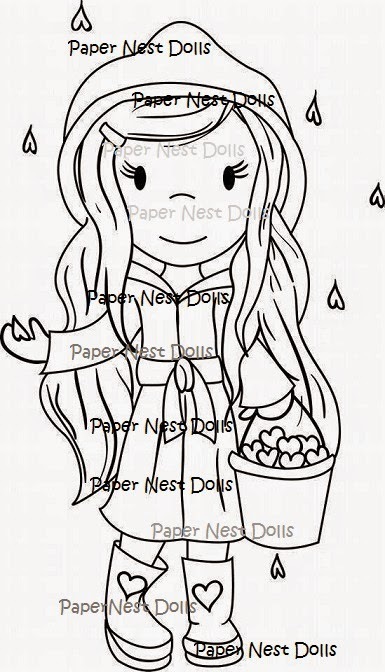 This gorgeous image is called Fairy Emma having tea, you can buy her HERE. 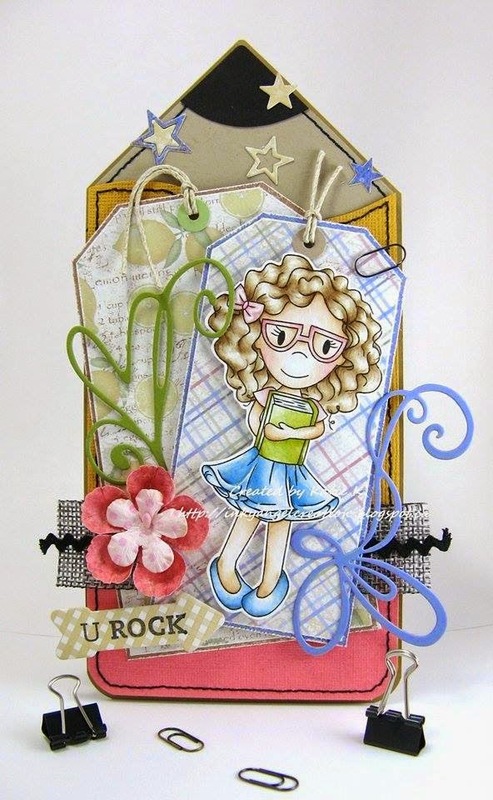 Hi everyone Monica here with a card I created using a new release Maddy with Glasses. 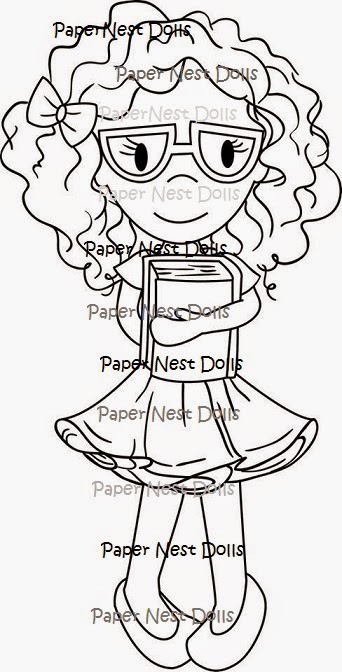 I just love how fun this image is with her curly hair and glasses just too cute right?!! 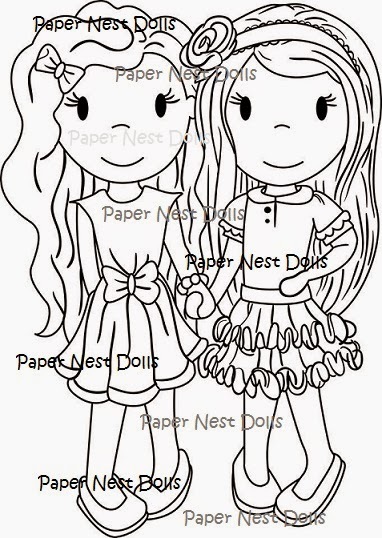 I hope everyone has enjoyed my post and be sure to check out all the new images in the Paper Nest Dolls store.. The thing I love the most on spring is the beautiful nature. 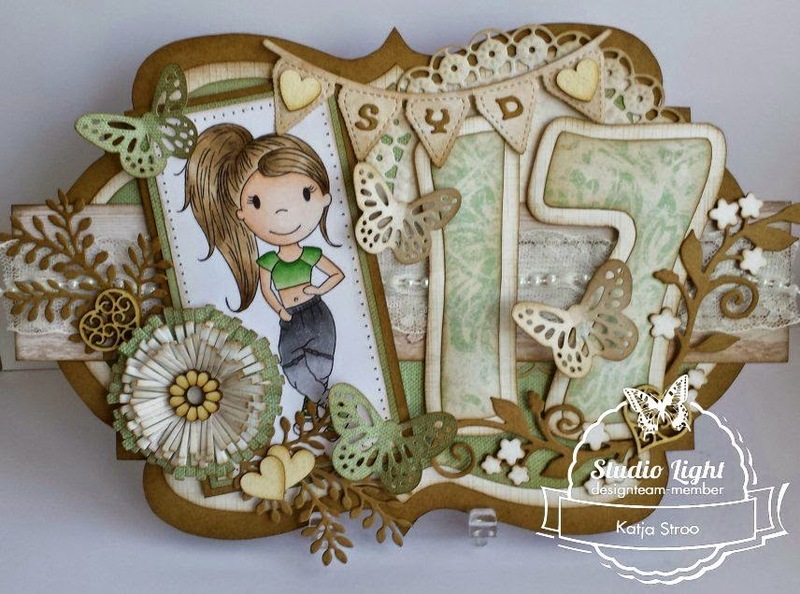 The flowers, butterflies, ladybugs,... That's why I made this card for today. 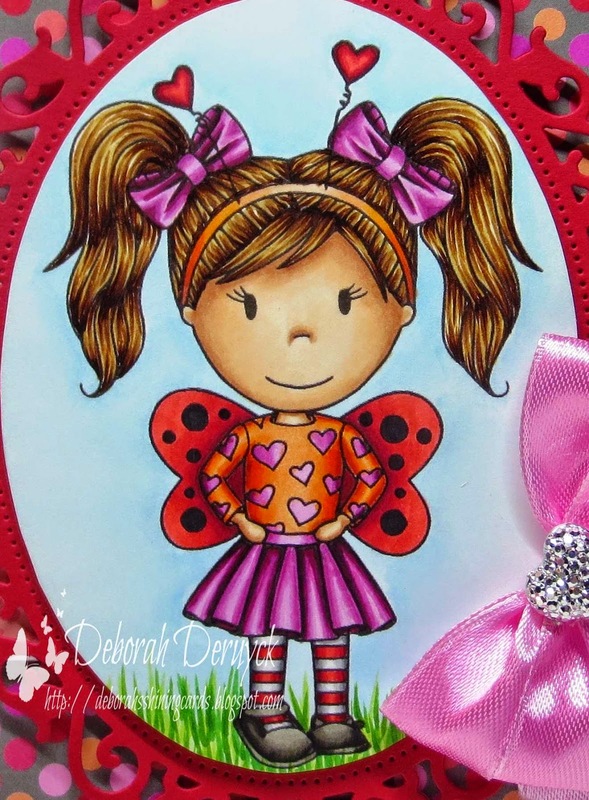 This stamp is called "Love Bug Emma". 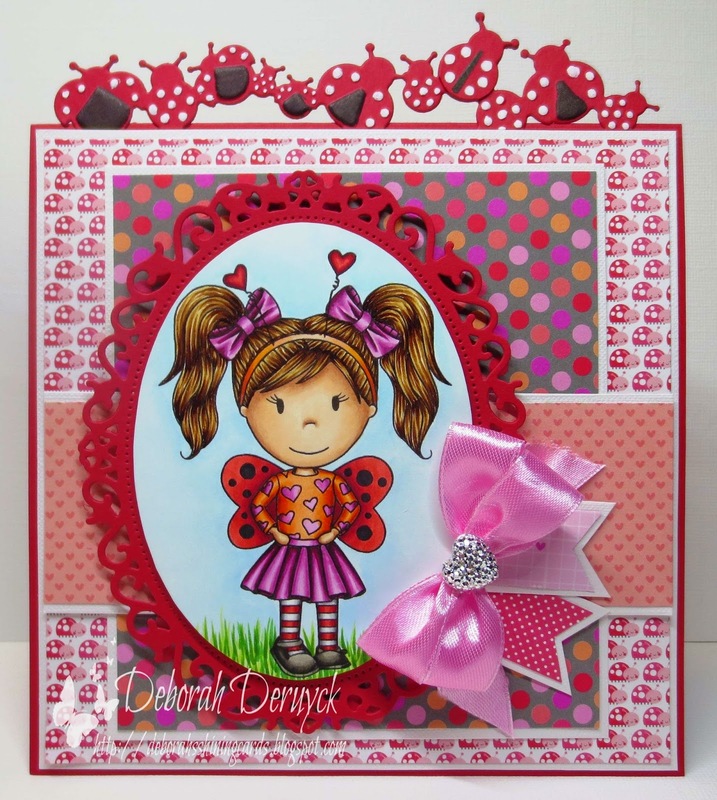 I've used some ladybug papers in bright colours to go with her. Hello everyone! 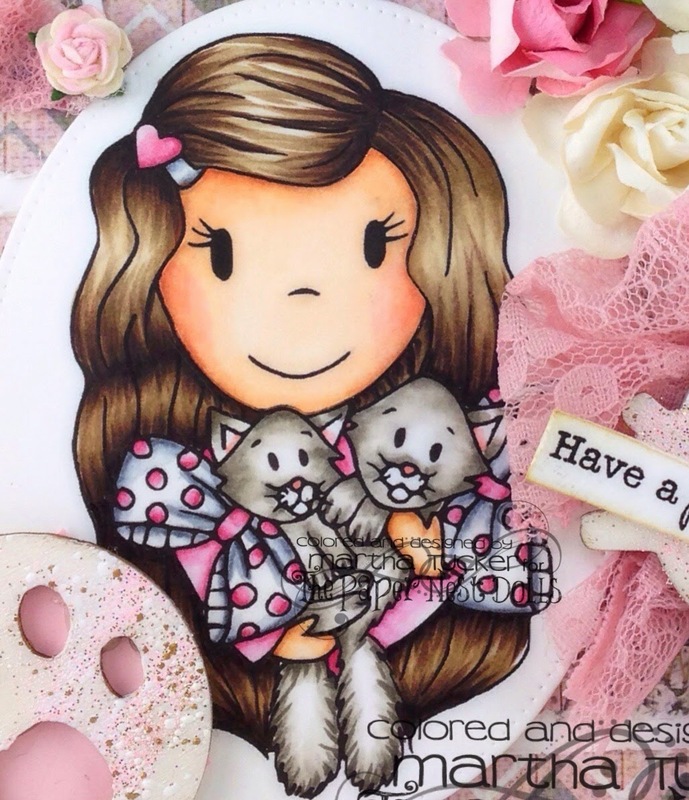 Today I Have a card to share with you using "Ellie With Kittens". This is a 5 1/2 by 5 1/2 card. The chevron paper is sewed on with my sewing machine, and so is the dusky pink ribbon that I picked up from a fabric store, unfortunately the chevron paper did not have a name on it, I just got it at my local Scrapbook store. 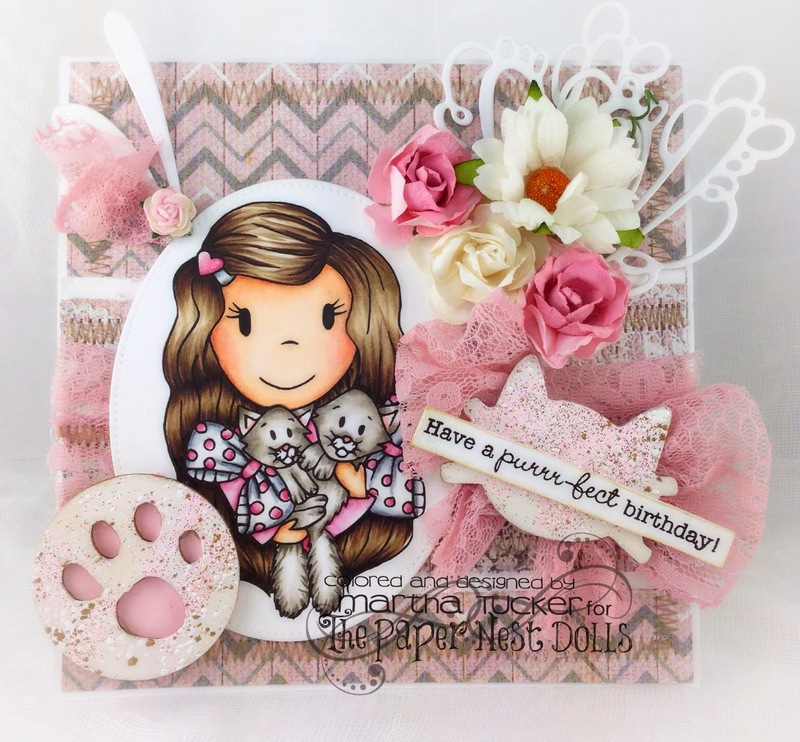 All the flowers are from wild orchid crafts. 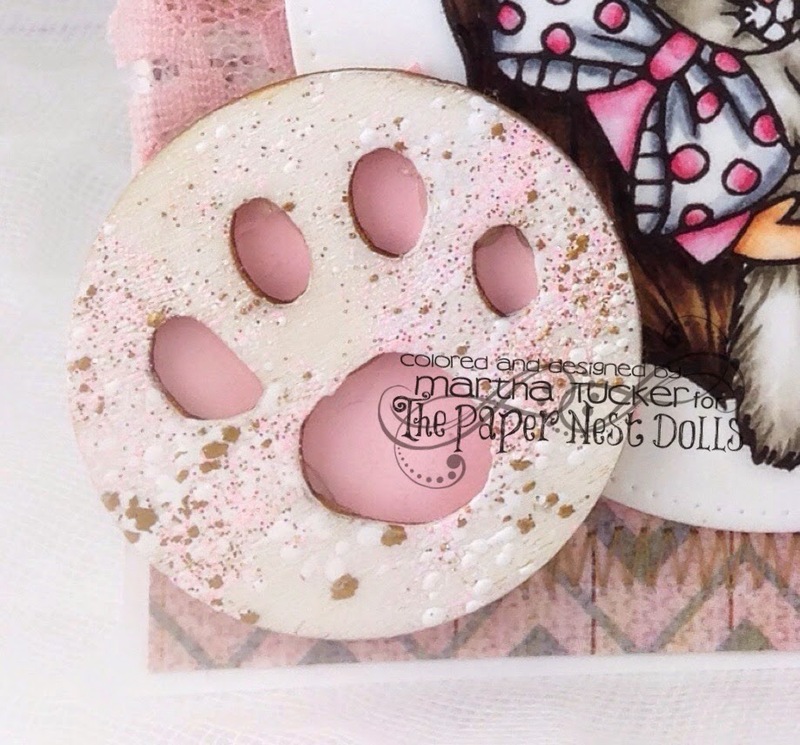 the kitty head and the paw are wood pieces from the dollar store that I painted white and put some shabby pink Frantage on, and the heart die is from Magnolia Doohickey Club Volume 4. 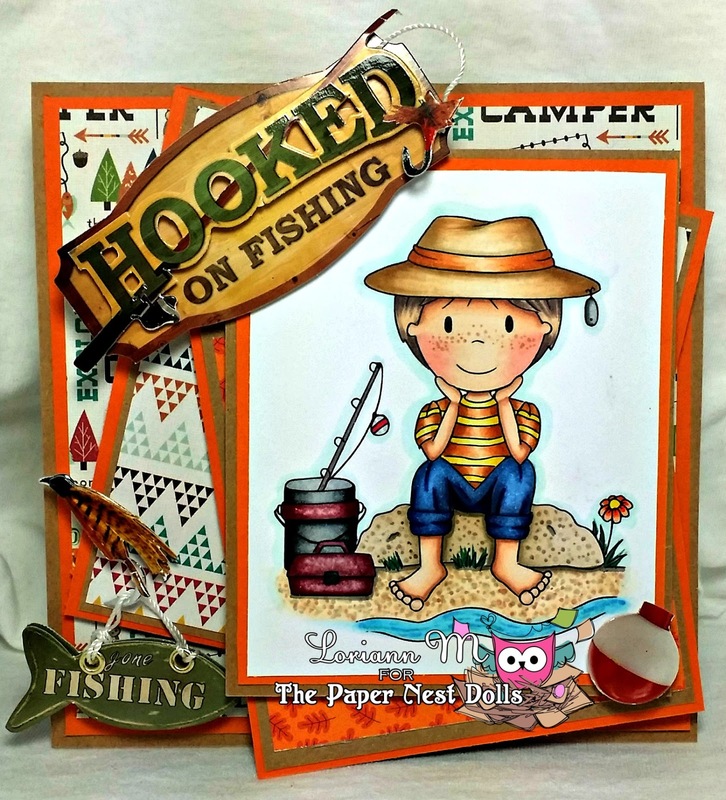 The sentiment is from a stamp set called "You Had Me At Hello" from My Creative Time. I will put links to the Available products I used below, and a list of the copics I used as well. Thank you for popping by today and have a wonderful day!